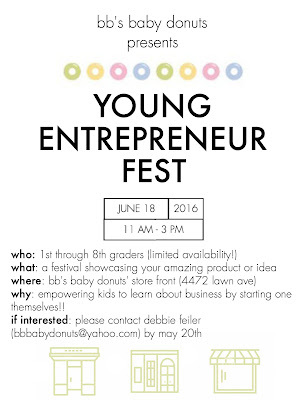 Tales of The Baby Donut: BB'S DONUTS FIRST EVER YOUNG ENTREPRENEUR FEST! 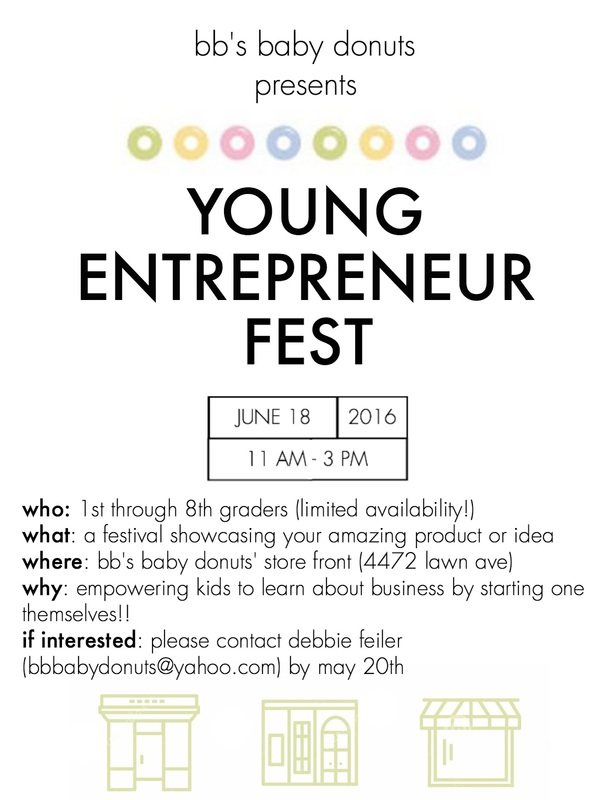 BB'S DONUTS FIRST EVER YOUNG ENTREPRENEUR FEST! all of us here at bb's are so excited to announce our first ever YOUNG ENTREPRENEUR FEST! just like the poster says, our fest is about "empowering kids to learn about businesses by starting one themselves"! we can't wait to see what types of ideas and products your kids come up with, and we can't wait to showcase their creativity! 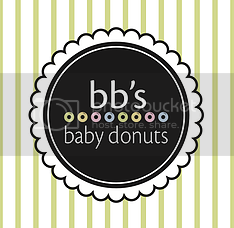 there is, in fact, limited availability, so if you're interested or if you nee more information, please contact Debbie Feiler at bbbabydonuts@yahoo.com to reserve a spot! we encourage you to come out and support the community as well as the young, talented kids who've put all their hard work into making their own products and businesses! the store will also be open, so you can get your coffee and donut fix while browsing around outside! and if you're just coming to walk around, there's no need to RSVP, and we'll see you on June 18th!